If you haven’t done so already, add this to your multi-task list. Listening to radio online has never been easier. 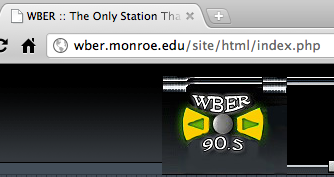 Chances are that one or more of the stations you listen to has a web site. Instead of using discrete components, you can access radio favorites on your PC, laptop or smart phone. Using a browser of choice, you can dial in to current radio favorites and also learn about new sources for your listening pleasure. Each has their own relative pros and cons and all are currently free for basic service. Several offer paid subscriptions that offer advanced features. There is a cornucopia of content with talk radio, sports, music, news and more choices in the long tail. Give one or more of these stations a listen. Where required, creating accounts is quick and simple. Several provide ways to share songs or playlists with Facebook or Twitter and other sites. I regularly listen to online radio stations from multiple sources. Here is a partial list. One station that was an early favorite is WBER. They were one of the first stations to stream their content and today enjoy a world wide audience. Back in the day, I would listen using a dial-up modem (!) connection. They are affiliated with our state education system and provide internship opportunities for high school students. The music genre is Alternative. It is worth noting that their playlists routinely influence program directors on competing stations as they are regular listeners. I also want to plug NPR. While I am not as active a listener as I have been in the past, NPR has lots of great shows. If are a fan, great. If not, I encourage you to give them a listen. Geographic limitations with broadcast listening are eliminated using internet radio. A great by product of our flat world. If you have moved, chances are you can find a one time local station online and tune in once again. Commercial stations include ad spots, of course. 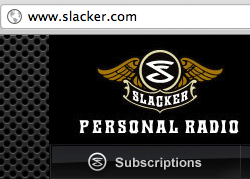 Recently, I have noticed Slacker inserting ads more frequently than in the past. Note the domain name with blip is not the usual .com. 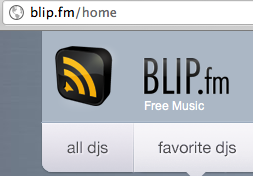 It is blip.fm. So many stations, so little time. Let me know your favorite. Until then, as Charles Osgood says, “I’ll see you on the radio”.